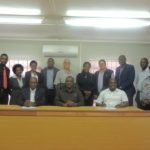 The recently established Town Council of Oranjemund cemented its ties with local businesses by signing a Memorandum of Understanding with the Oranjemund Branch the Namibia Chamber of Commerce and Industry. This Memorandum of Understanding (MOU) outlines the nature of the partnership between OTC and NCCI Oranjemund Branch with a view to work together for the benefit of the town and its community. The aim is further to encourage and promote smart partnerships between public and private sector investment for the benefit of the local economy, and business development. The major thrust of the MoU aims to promote and create an enabling environment for the sustainable growth of the town and the wider business community, to reduce extreme poverty, to combat unemployment within Oranjemund and to encourage networking and partnership on matters affecting general development, and businesses in the newly proclaimed town. By signing the MOU the Oranjemund Town Council (OTC) recognises the benefits of a partnership with the business community in the town of Oranjemund through its representative body, the Oranjemund Branch of the Namibia Chamber of Commerce and Industry (NCCI Oranjemund Branch). 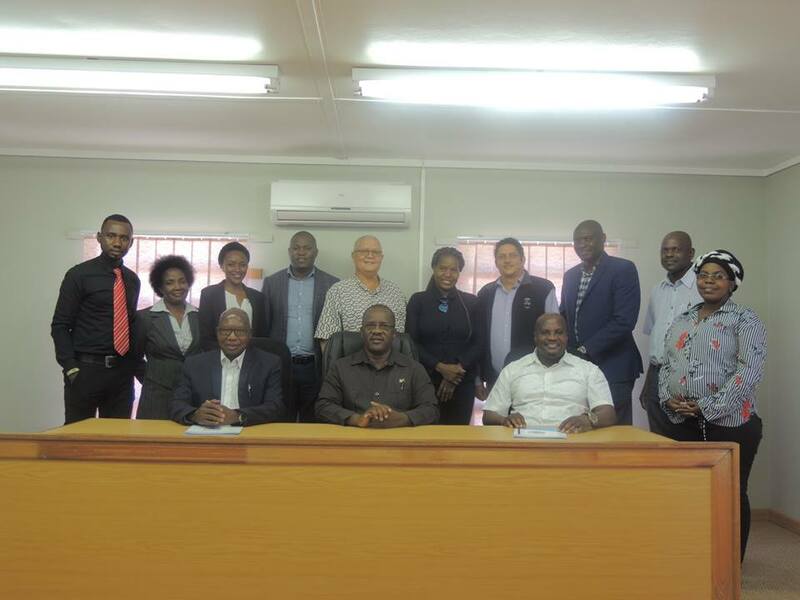 The MoU signing ceremony was witnessed by the Regional Councilor of the Oranjemund Constituency, Lazarus Nangolo, the Mayor of Oranjemund, Henry Coetzee, local authority Councillors and Exco-members of NCCI- Oranjemund branch as well as the local businesses. The Chairperson of the Management Committee (MC), Cllr Toivo Auala and Chairman of NCCI-Oranjemund Branch signed the MoU on-behalf of their respective entities.